Only on the Ukok Plateau in Siberia can you find stunning quiet, cosmic views of the Chuyskaya Steppe, mountain summits, an open-air museum on a rock, yurts, camels and the spirit of nomadic freedom. The tourism industry hasn’t yet discovered this unique corner of the world. The mountainous areas of the Altai (3,134 kilometers from Moscow) are, together with Lake Baikal, Siberia’s most popular tourist areas. Yet, for both local inhabitants and those from European Russia and abroad there are still some “blank spots” on the map. Ukok Plateau, which stores untold beauty and discovery for travelers, is one such place. 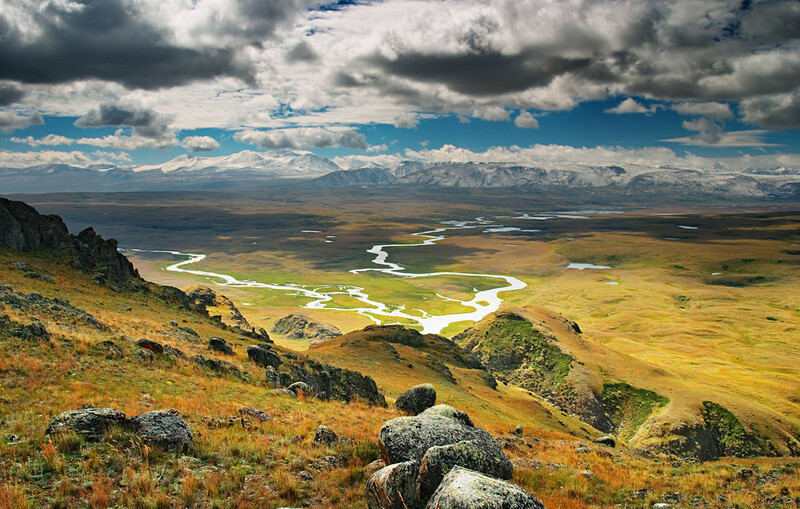 The Ukok Plateau, included in the UNESCO World Heritage List as part of the Golden Mountains of the Altai Natural Reserve, was only partly marked on the map of the Russian Empire. Due to 20th century archeological discoveries this natural area, in the extreme south of the Altai Republic bordering Mongolia and Kazakhstan, is considered by Siberian scholars to be the heart of Eurasia. This part of Siberia was inhabited at different times by the Scythians, Huns and various Turkic peoples practicing nomadic cattle breeding, herding, craftsmanship and agriculture. 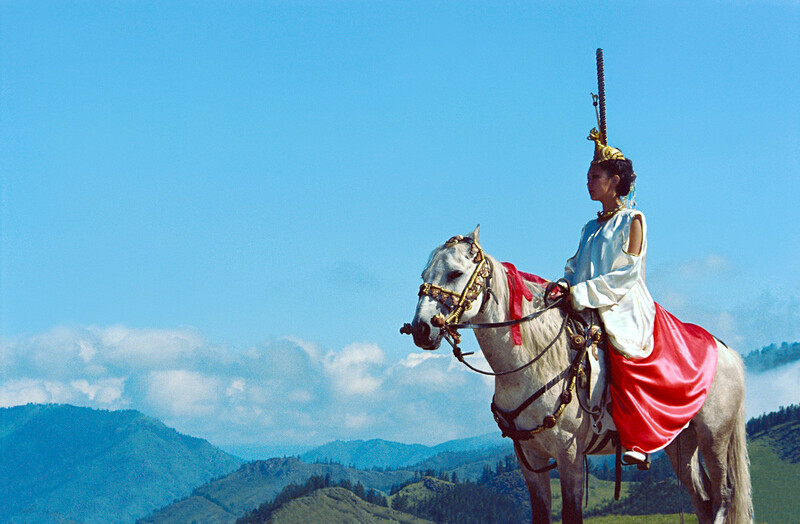 However, it was the “Altai Princess” that brought the Ukok Plateau worldwide fame. In 1993 a group of researchers from Novosibirsk, together with their German and Mongolian colleagues, began excavating a burial mound on the border between the Altai and Mongolia. They found something extraordinary 19 meters below ground. There was an ancient sepulcher containing the mummy of a young woman. 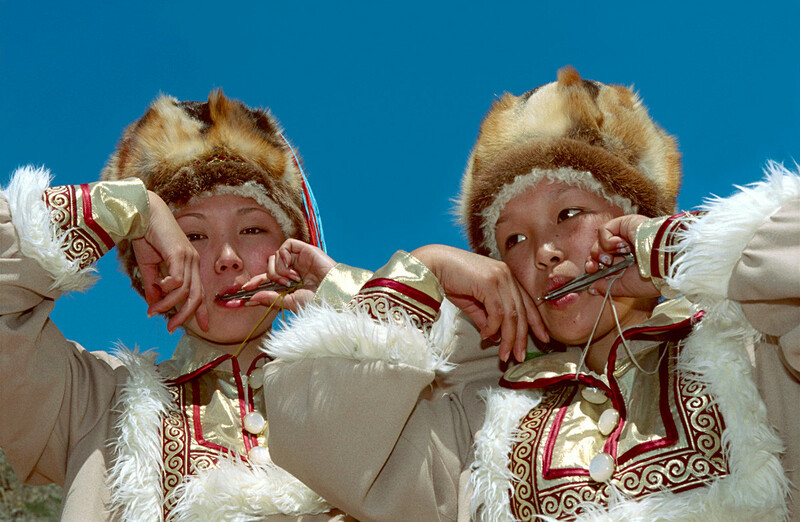 She was promptly dubbed the “Altai Princess” by the local press. This finding was a sensation in Russian archaeological circles: Firstly, the burial place featured preserved clothing and furnishings of a high artistic quality. Secondly, due to a DNA analysis of the “Princess of Ukok” (which she is also known as), it was possible to get new data on an ancient culture dating back to the epoch of the Scythians. Recently Swiss anthropologist Marcel Nyffenegger has succeeded in reconstructing what the princess must have looked like, giving global significance to this archaeological discovery. The Ukok Plateau is a peculiar museum of antiquities. 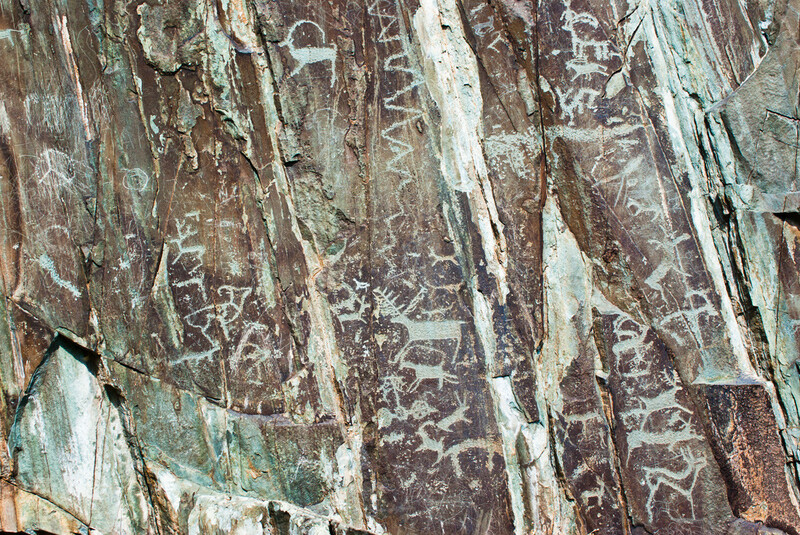 Besides the burial mound of the “Princess of Ukok,” there are many well-preserved petroglyphs engraved into the rocks. In the Elangash natural area in the Chuyskaya Steppe, an entire complex of rock art consisting of about 30,000 pictures have been preserved. The most ancient of these petroglyphs go back to the time of the Mongols, when they led their caravans through Siberia. Here ancient stones are like frozen pastures: they are engraved with the images of reindeers, camels, bulls and goats, and even of chariots, mythological subjects and hunting scenes. Also popular among travelers are the Bertek Petroglyphs, where there are numerous rock engravings and the “deer stones” in the Dzholin tract, granite stones that were considered sacred by Altai’s ancient inhabitants. Apart from Siberian archaeology and the history of ancient Altai, travelers go to the Ukok Plateau for its extra-terrestrial landscapes, which are similar to those featured in Stanley Kubrick’s “2001: A Space Odyssey.” One can glance out at ochre-colored plateaus, snow-capped mountain summits, larch groves and the vast expanses of the steppe. 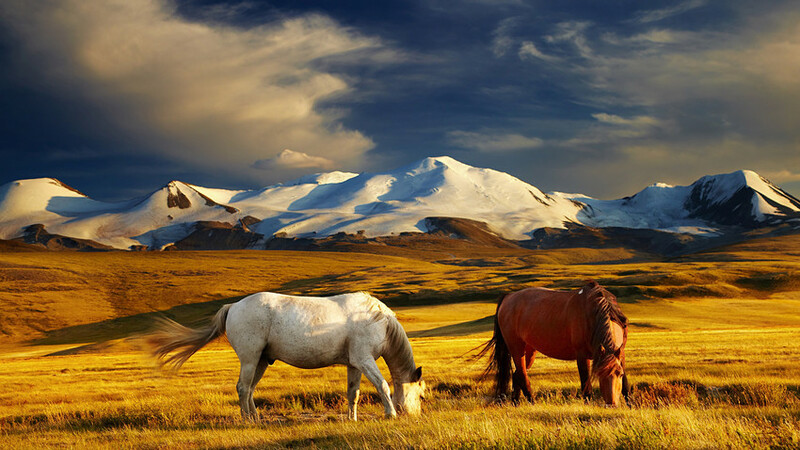 One of the highest summits here is Mt Tabyn-Bogdo-Ola, which is 4,374 meters high and whose name means “the five sacred summits” in Mongolian. 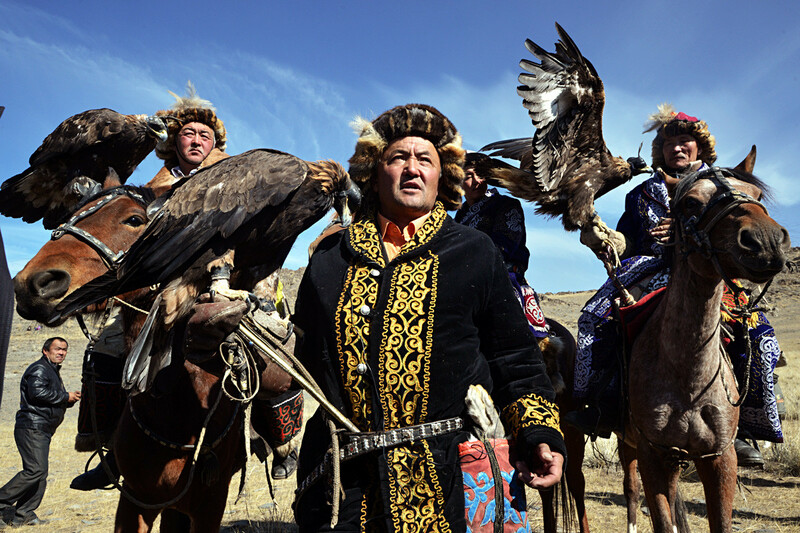 A trip to the Ukok Plateau means getting to know a multicultural natural area where the Altai, Mongol, Kazakh and Siberian cultures are intertwined. The plateau is a wild place with no marked routes, so tourists usually travel by Russian-made UAZ jeeps. Trekking to the mountains summits or through the valleys is a possibility. 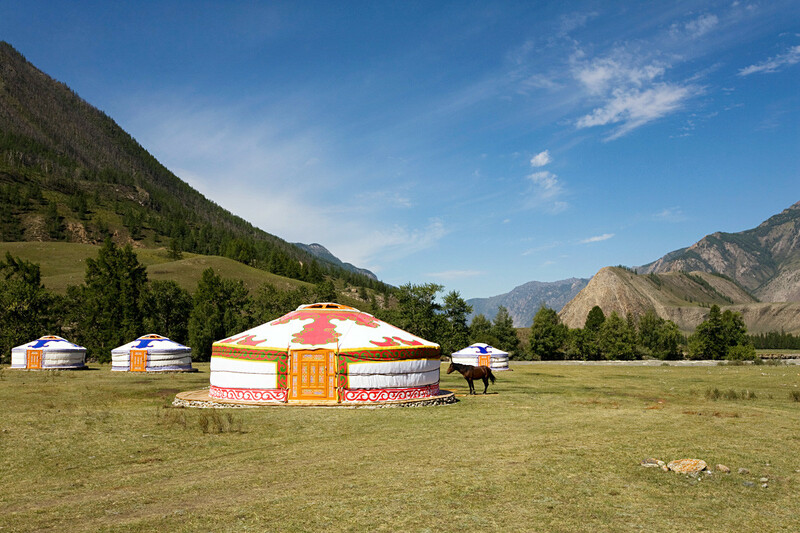 On the Ukok Plateau there are no hotels, so be prepared to sleep in yurts. 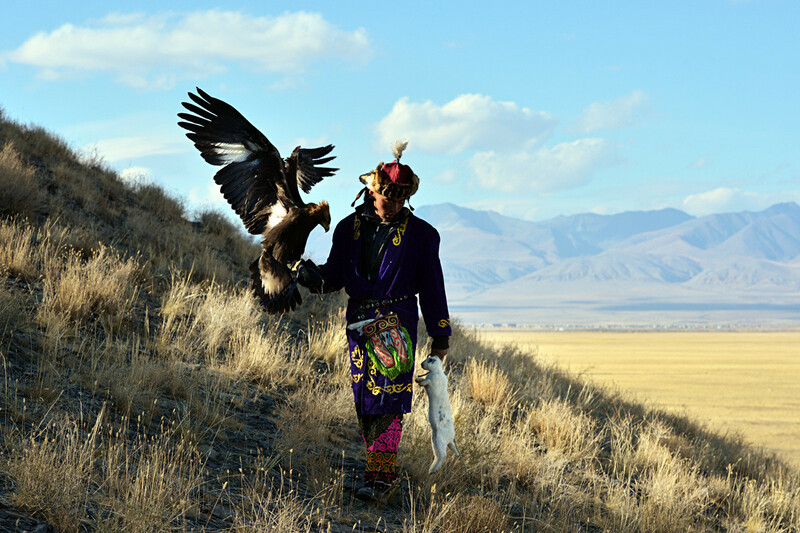 The advantage is you’ll always be close to the locals and the Altai Kazakhs and the Telengit people, who view this territory as their homeland, will give you a hearty introduction to life on the steppe. 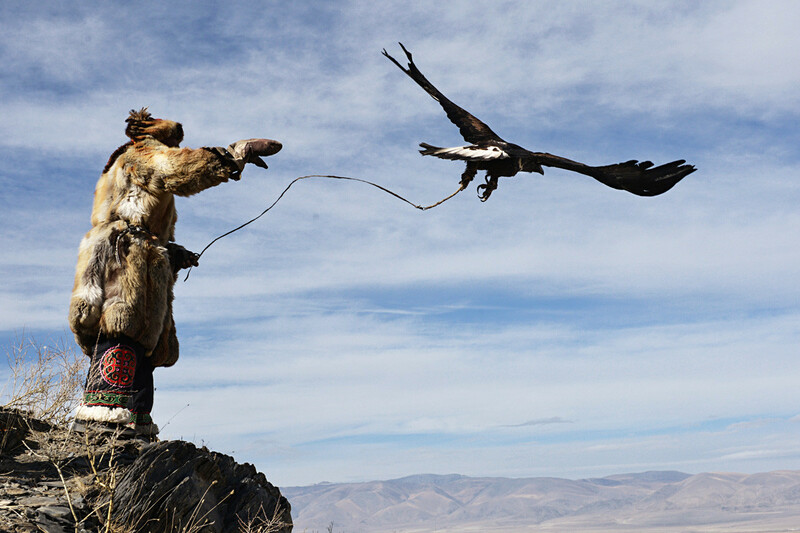 The Ukok Plateau is not an easy place to get to and, furthermore, it is a protected area. In the southern part of the plateau a National Park has been established, the “Ukok Quiet Zone.” Part of its territory is a natural reserve, therefore you'll have to go there with a local tour operator that knows the area and has guides and its own means of transport. A special border permit is a must as this area straddles the state borders with Kazakhstan and Mongolia. It is highly recommended that you organize this through a travel agency and begin the process at least one month in advance. 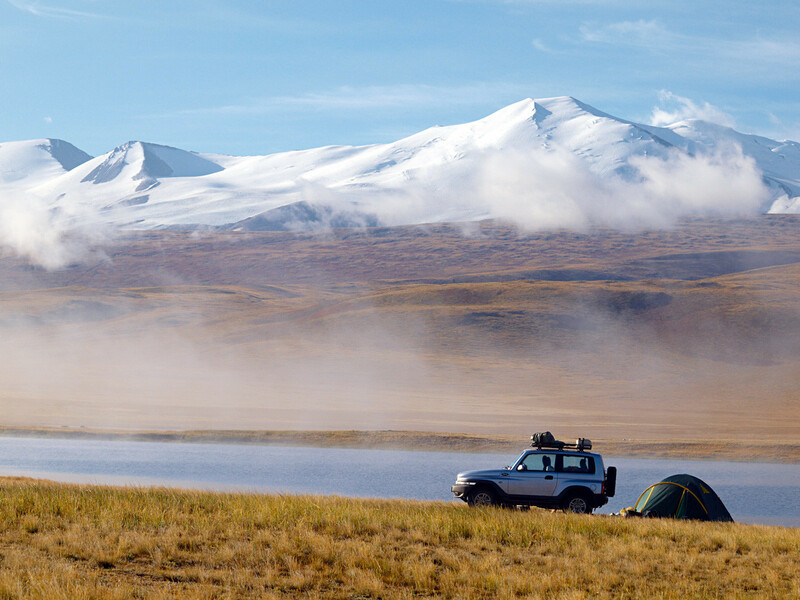 Travelers can reach the Tydtuyaryk - Golden Camel campsite in the Kosh-Agachsky District of the Altai Republic by car (kilometer 871 of the Chuysky Trakt). In the campsite you can rent a yurt and organize excursions by bike or jeep, go fishing (fishing is only permitted parting select areas of the Ukok territory), go on an archaeological excursion or go hiking. Excursions start at 2,500 rubles ($50). The campsite is equipped also with a kitchen and a sauna and they can arrange concerts of ethnic music.